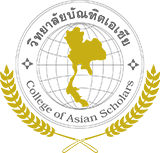 บทคัดย่อ ภาษาอังกฤษ Purposes of this research are : 1) to study the situation and guideline for the development of the innovation for service, 2) to investigate the problems and obstacles of the development for the innovation, and 3) to recommend guideline(s) for the development of the governmental service system. 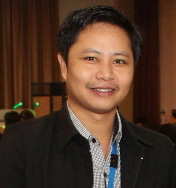 1.In terms of the situation and guideline for the development of the innovation for service, Khon Kaen Municipality had created the precise and practicable development policies and strategies aligned with the citizens’ participation in proposing of their needs which was brought directly to the Municipality’s actions with technology and innovation. In addition, the frequently improvement and introduction of new technology and innovation such as the queue card dispenser booth for the provision of the service in appropriated order , the smart identification card reader for the reduction of photocopied documents, the introduction of You Phee complaint system and internet system, the tax payment via smart phone , the digital data collection and management regarding the service recipients, had significantly met the need of the citizens. 2. In terms of problems and obstacles of the development for the service, there were some group of citizens who could not receive the Municipality’s service due to their limitation to access the internet system and the Municipal’s digital application. Moreover, the lack of information technology competencies development in a concerned officials as well as the excessive quantity of routine duties in limited working hours without the shifting or replacing of staffs with specific expertise ,were considered as the key problems and obstacles of this aspect. 3. In terms of the guideline(s) for the development of the governmental service system, Khon Kaen Municipality was recommended to improve the existing digital service application therefore it could provide more convenient and wider range of services covering the Municipal’s duties and responsibilities. In addition, there should be a distribution of information regarding the service channel to the service recipients therefore they could contact with the Municipality effectively and conveniently.The aforementioned improvement was also expected as the guideline for the improvement of excellent service of another government agencies. Purposes of this research are : 1) to study the situation and guideline for the development of the innovation for service, 2) to investigate the problems and obstacles of the development for the innovation, and 3) to recommend guideline(s) for the development of the governmental service system. Tool of this research was the semi-structure interviewing conducted on 18 samples from 4 target populations consisted of the policy makers of Khon Kaen Municipality, service providers of Khon Kaen Municipality, concerned agencies, and representatives of service recipients . Research methodology were the study of primary data and the participatory observation. Results of this research revealed that: 1.In terms of the situation and guideline for the development of the innovation for service, Khon Kaen Municipality had created the precise and practicable development policies and strategies aligned with the citizens’ participation in proposing of their needs which was brought directly to the Municipality’s actions with technology and innovation. In addition, the frequently improvement and introduction of new technology and innovation such as the queue card dispenser booth for the provision of the service in appropriated order , the smart identification card reader for the reduction of photocopied documents, the introduction of You Phee complaint system and internet system, the tax payment via smart phone , the digital data collection and management regarding the service recipients, had significantly met the need of the citizens. 2. In terms of problems and obstacles of the development for the service, there were some group of citizens who could not receive the Municipality’s service due to their limitation to access the internet system and the Municipal’s digital application. Moreover, the lack of information technology competencies development in a concerned officials as well as the excessive quantity of routine duties in limited working hours without the shifting or replacing of staffs with specific expertise ,were considered as the key problems and obstacles of this aspect. 3. In terms of the guideline(s) for the development of the governmental service system, Khon Kaen Municipality was recommended to improve the existing digital service application therefore it could provide more convenient and wider range of services covering the Municipal’s duties and responsibilities. In addition, there should be a distribution of information regarding the service channel to the service recipients therefore they could contact with the Municipality effectively and conveniently.The aforementioned improvement was also expected as the guideline for the improvement of excellent service of another government agencies.